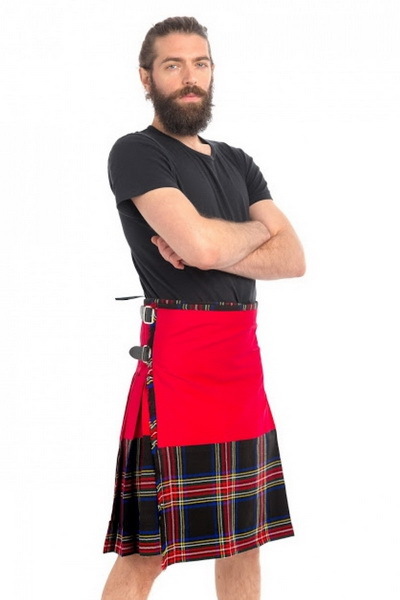 Take your love of kilts to a handsome new level with the Casual Prince Charlie Kilts Outfit. 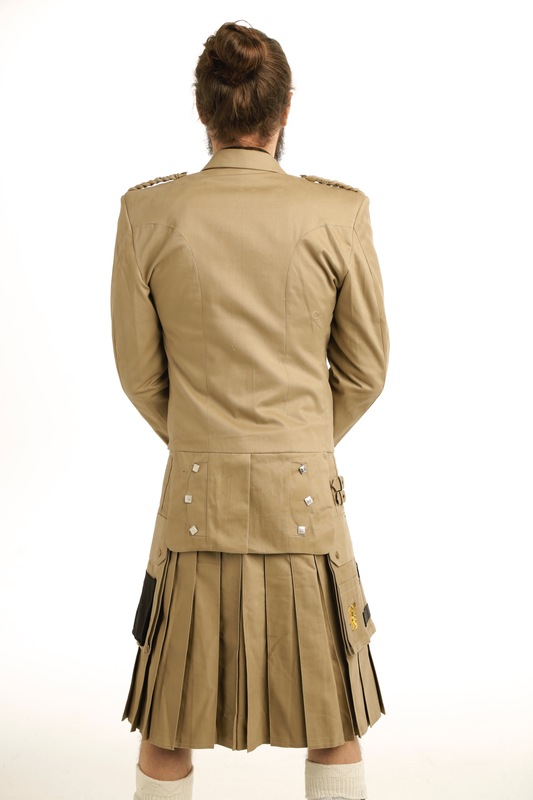 Complete with a kilt jacket, vest and kilt, this kilt outfit is adorned in silver-toned hardware to give it a sense of formality and legality. 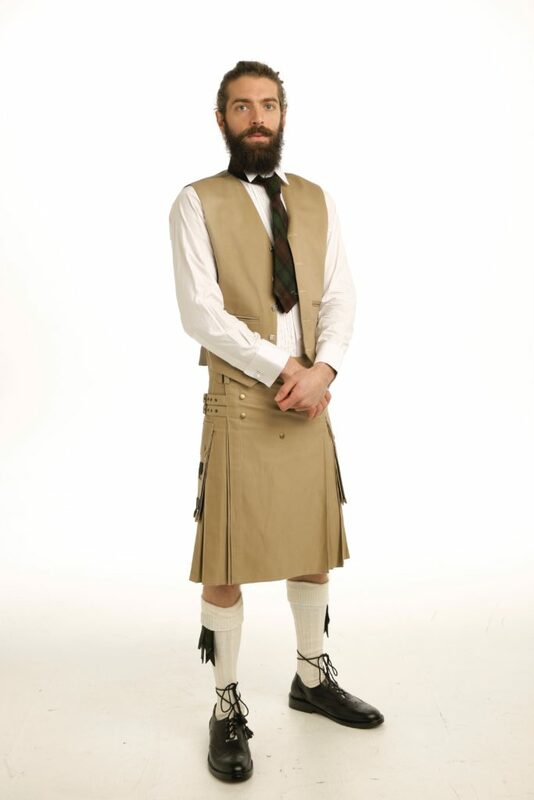 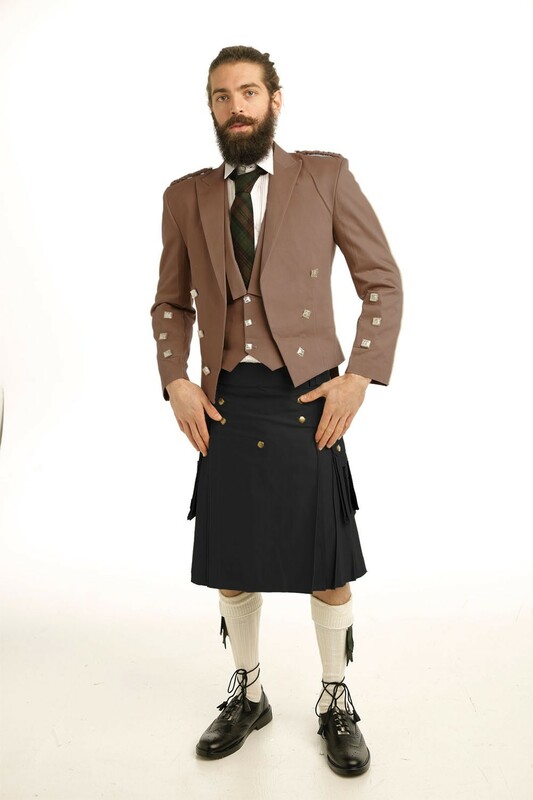 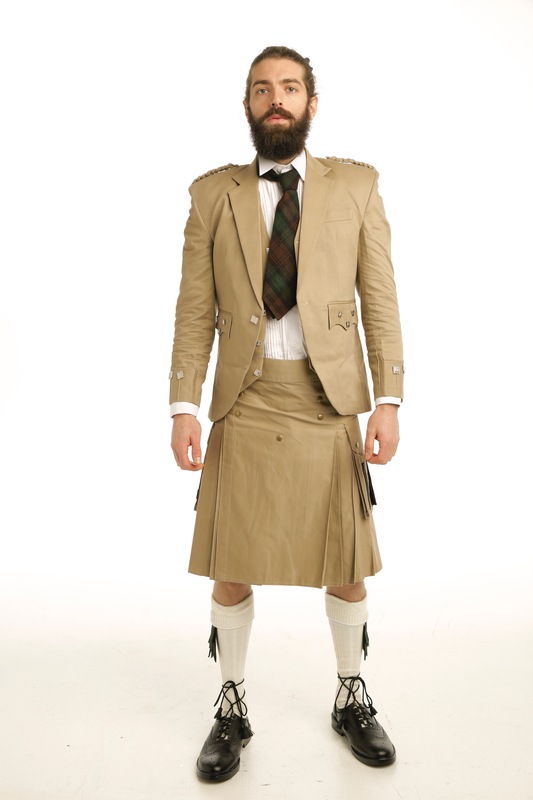 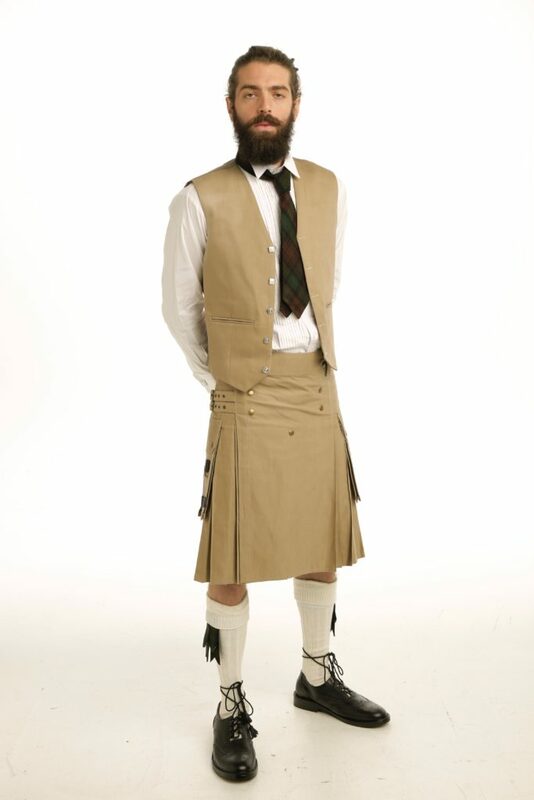 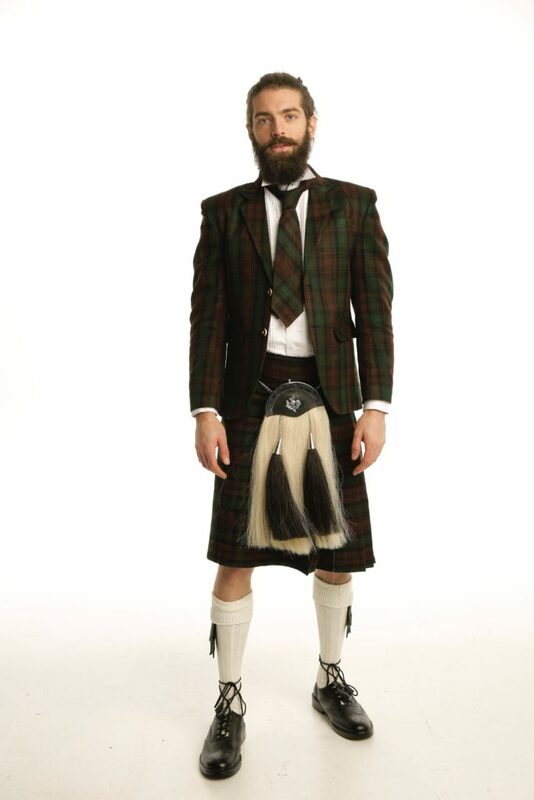 Everything about this handsome kilt ensemble can be altered to your liking. 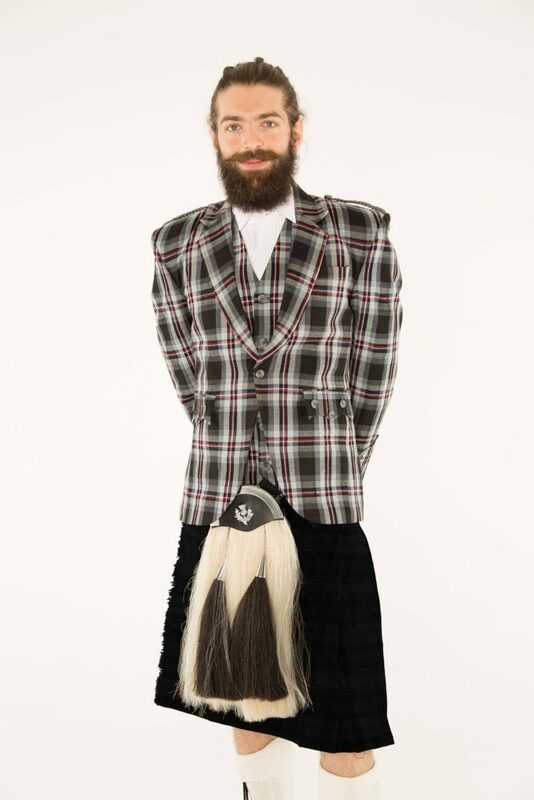 Choose the size of the neck, the width of the shoulders, the size of the chest and the length of the sleeves in order to get the perfect fit. 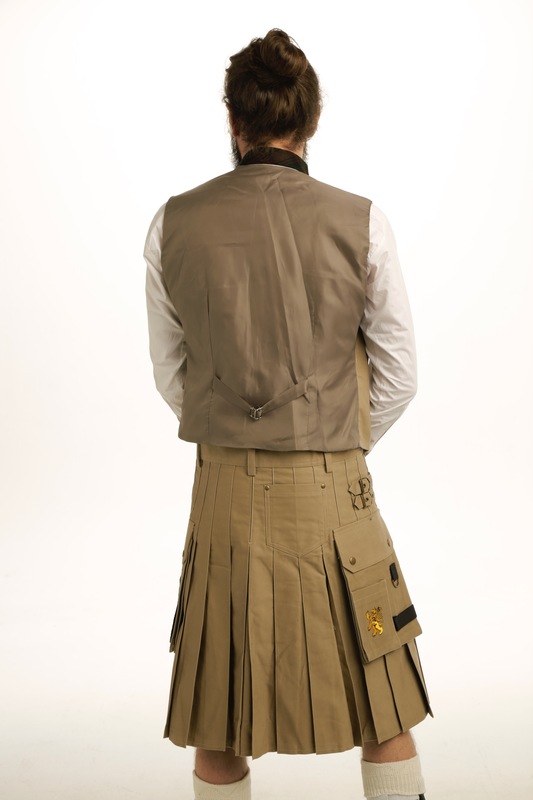 For the kilt itself, you can choose the kilt length, the fell measurement, the hip size and the waist size. 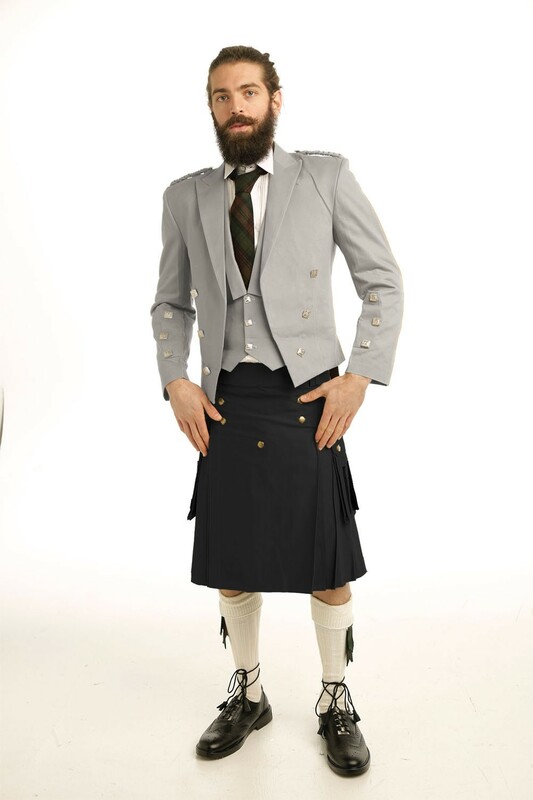 Add on the shoes, belts and belt buckle that you prefer to complete your own Casual Prince Charlie Kilts Outfit. 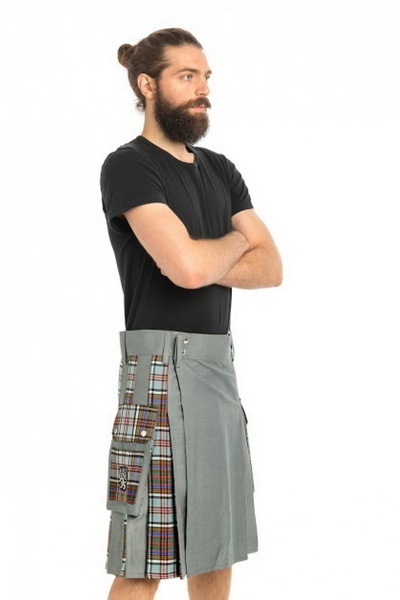 Take your love of kilts to a handsome new level with the Casual Prince Charlie Kilts Outfit.